Expected rate increases continue to come down for this year, but it remains a good time to buy truckload stocks, said Brad Delco, managing director for Stephens Inc.
Delco, speaking at the Katz, Sapper & Miller 20th Annual Trucking Owners and Leaders Roundtable on February 5 in Indianapolis, said that trucking stocks suffered their worst year ever in 2018, as the Stephens TL Index fell 35.2 percent despite the robust freight environment. "Our thesis is to buy truckload stocks," he said. "One, they have already priced in a recession, and two, they are very durable." Delco told the audience of trucking executives that if historical trends hold true, stocks should rebound this year. He noted that year-to-date, the Stephens TL Index is up 19.2 percent and truckload stocks have outperformed the broader S&P 500. To illustrate, he showed a chart that looked at stock performance over time. In 1999, the Stephens TL Index fell 22.4 percent as the S&P 500 rose 19.5 percent. That turned in both 2000 and 2001, with the Index up 9.4 percent and 59.3 percent even as the S&P fell 10.1 percent and 13 percent. The same thing happened in 2007-2008. In 2007, the Index was off 13.3 percent as the S&P climbed 3.5 percent, but by 2008, the Index was up 6 percent as the broader S&P fell 38.5 percent. The 2015-2016 timeframe was a little different, as the Stephens TL Index fell 35.7 percent while the S&P also fell, 0.7 percent. Both rose in 2016, but truckload stocks outperformed the S&P, which was up 9.5 percent. For the same period, the Stephens Index jumped 30.9 percent. If form holds, 2019 could be a banner year for truckload stocks. The Stephens Index fell 35.2 percent in 2018. So far this year, Delco pointed to Marten Transport, Ltd (NASDAQ: MRTN), up 19.9 percent, USA Truck, Inc. (NASDAQ: USAK), up 20.1 percent, Covenant Transportation Group, Inc. (NASDAQ: CVTI), up 22.0 percent, and Knight-Swift Transportation Holdings Inc (NYSE: KNX) up 27.4 percent as stocks that have outperformed the Stephens TL Index to date. 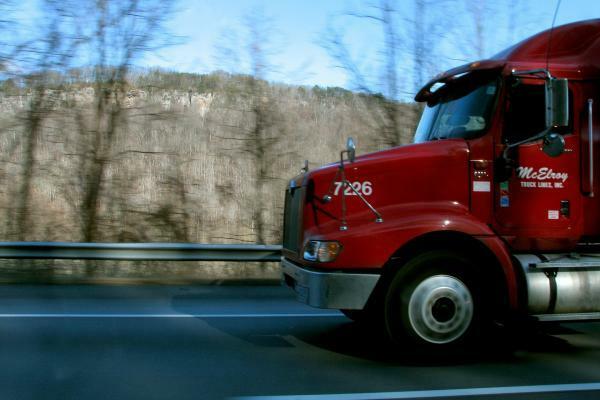 Heartland Express, Inc. (NASDAQ: HTLD), up 8.3 percent, Werner Enterprises, Inc. (NASDAQ: WERN) up 10.4 percent and Schneider National Inc (NYSE: SNDR), up 14.2 percent, are other truckload stocks that have performed well this year. Delco noted the challenging year-ago comps that public companies are facing as spot rates decline, although he said the rates are now in line with the five-year average but down about 20 percent from a year ago. On the contract side, he noted that in November, carriers indicated mid- to high single-digit rate increases in 2019, but that sentiment has changed to "mid-single- digit rate increases" with some contracts potentially seeing flat rates by the end of the year. Truckload valuations are on the rise, though, with the industry seeing about a 21 percent increase across the board, Delco said, even as earnings estimates have fallen. Heartland and Marten are two of the bigger gainers since the end of 2018. Heartland's valuation is now at a 20.4x price to earnings (PE) multiple, up from 16.8x, while Marten is at 17.1x, up from 13.9x. During his presentation, Delco touched on some other data points analysts are watching in the industry, including the tight driver market and labor market overall; continued impacts from electronic logging devices (ELDs); and truck orders as "cancellations are really picking up," Delco said. The last three months of 2018 saw cancellations of new truck orders climb towards and over 20 percent. Detention time is another metric that investors are starting to pay more attention to, Delco added. "ELDs put a really bright spotlight on shippers," he said. Regulations are also a concern, of course, as are potential tariffs. "We think things are becoming a little more uncertain around trade and tariffs, and that is creating some choppiness in freight activity," he said. Delco noted that first-quarter GDP estimates are now closer to flat, and freight tonnage is falling off, with the American Trucking Associations' Tonnage Index having peaked in October and now off about 6 percent. He thinks 2019 GDP will grow, though, to about 2.5 percent. "The one thing we don't like seeing ... is how volatile this data has been," Delco said. "We have seen volatility in port activity because of the threat of tariffs. We think retailers pulled freight forward where they could." The impact has been an increase in warehouse inventory, up 4 percent in 2018 while U.S. retail sales rose about 2.8 percent. As a result, warehouse space has been become even tighter, especially on the West Coast, although Delco expects "that freight is going to start moving at some point." Overall, he sounded a positive tone for the industry, but probably not the overly optimistic one many would have liked. "I don't think anybody in this room is complaining about freight volumes, but it's probably not what you thought it would be based on the June/July  levels," he said.